For Vespa LX 50 / 125ie/ 150 Standard Seats IMPORTANT! You will need make a selection between the 2005 - 2011, stock leather, or the 2012 - 2014 seats. The seat covers are not interchangeable between these models. 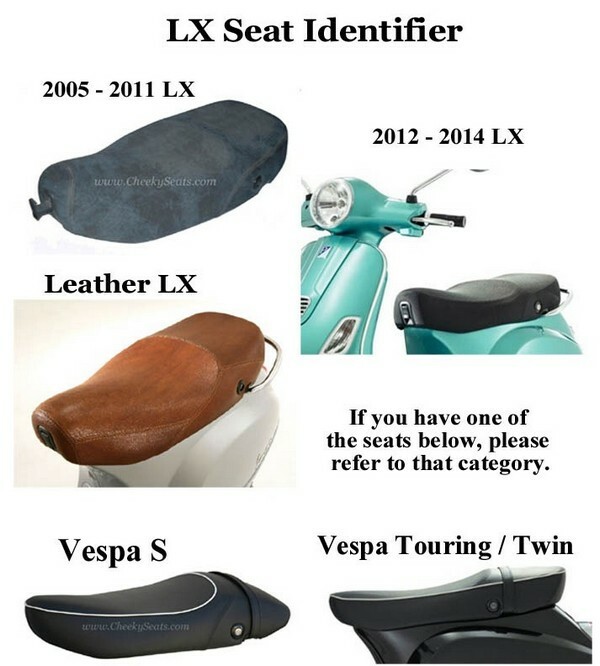 See the Vespa LX image above to verify your seat. We are in love with this look for the Vespa LX scooter seat! Our elephant matte gray seat cover is a beautiful choice for your Vespa LX, and will be a serious upgrade if your LX came with the gray seat! Our matte gray has a soft hand like calves leather, and is waterproof and UV stable, meaning it will not fade in the sun. We use same techniques as the original Vespa leather seats ; combining beautiful French seams, contrasting stitching and impeccable tailoring to give you that million dollar look, without a million dollar price tag. In this example, we show matching gray stitching, but for a more dramatic look, we can make your seat cover with darker gray stitching, or white stitching! 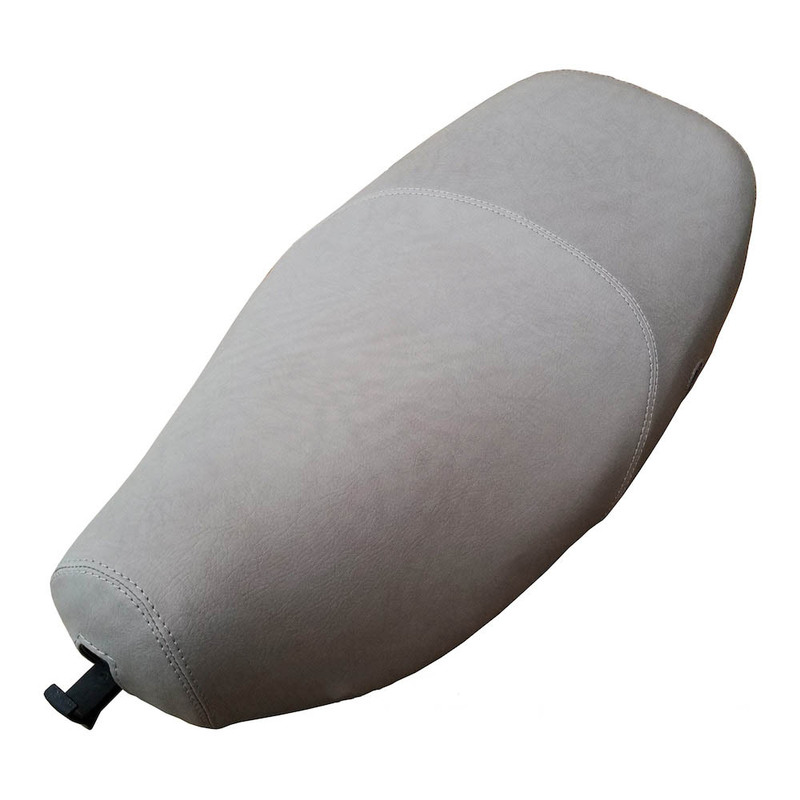 You can order a matching backrest cover for your Vespa topcase, or Cuppini backrest pad. 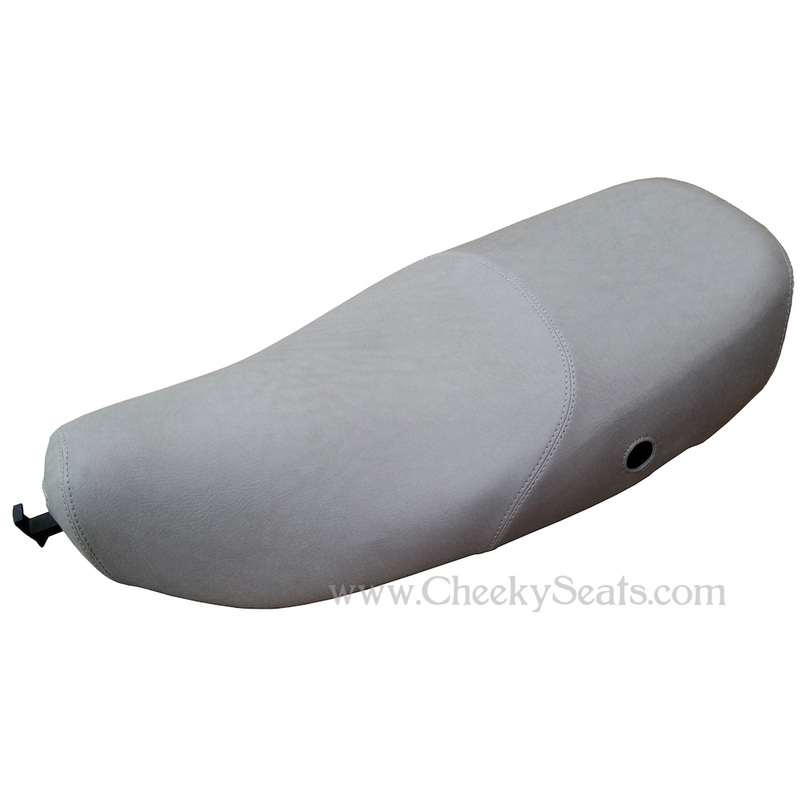 Cheeky Seats seat covers are hand made to order in our studio in Pennsylvania, and are designed for long term, rigorous outdoor use in all weather conditions. No staples or tricky assembly required, (though you may staple it on if you wish) Our impeccably tailored covers fit like garments on your seat. This is just the kind of signature accessory your Vespa is calling out for.